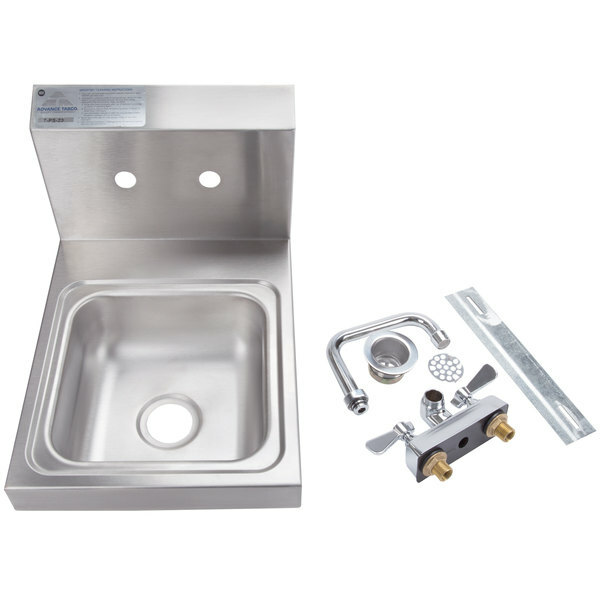 Advance Tabco 7-PS-23 Space Saving Hand Sink with Splash Mount Faucet - 12" x 16"
Made of durable 20 gauge 304 series stainless steel, this Advance Tabco 7-PS-23 Space Saving hand sink with splash mounted faucet provides an affordably priced washing station for any commercial kitchen. 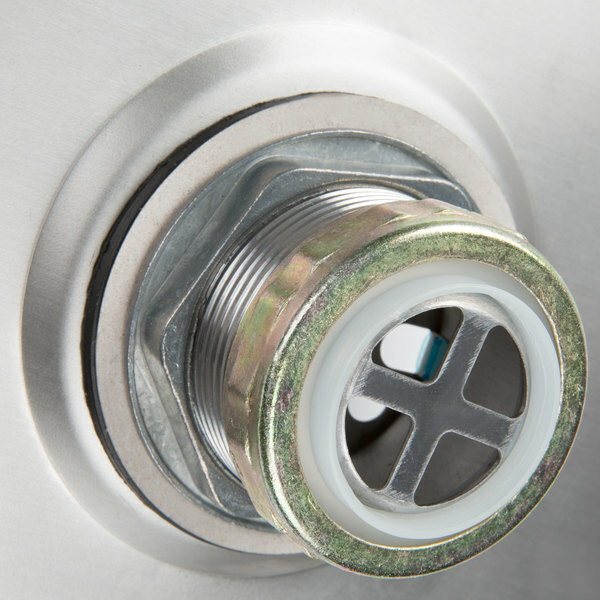 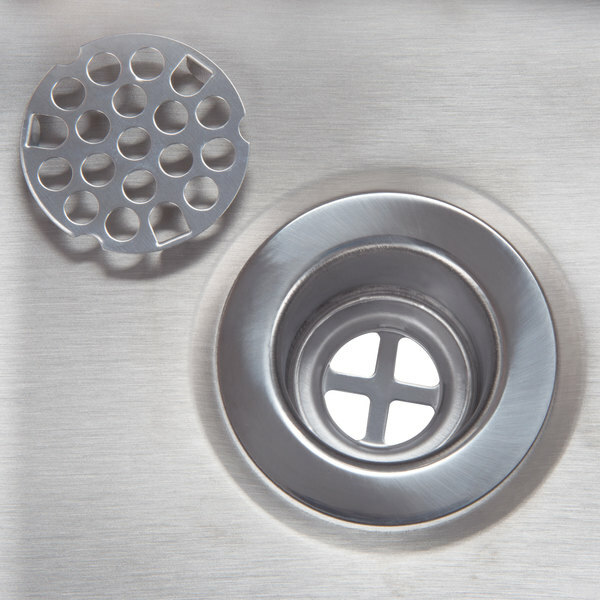 A 2" drain with strainer plate allows for easy cleaning. 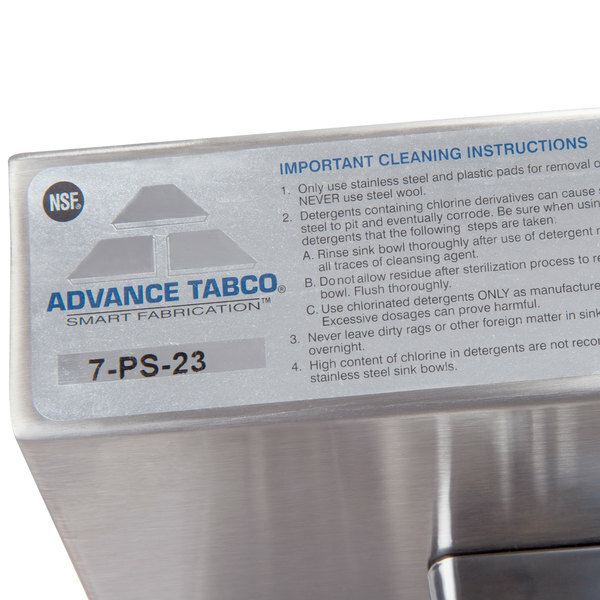 The Advance Tabco 7-PS-23 Space Saving hand sink is also simple to install thanks to its keyhole style mounting bracket. 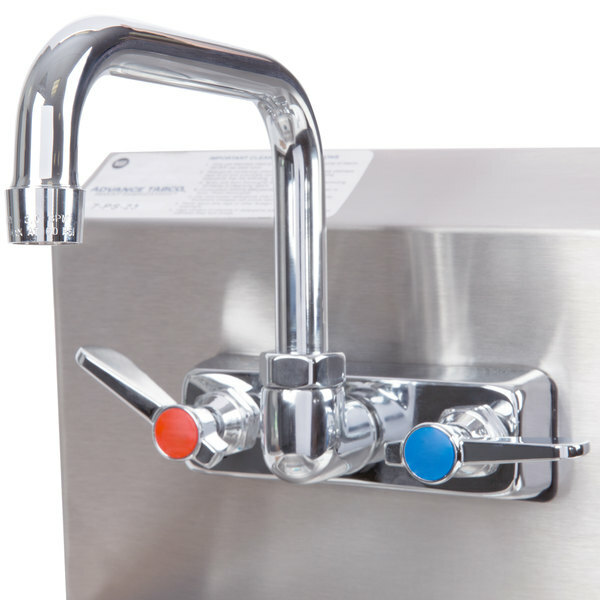 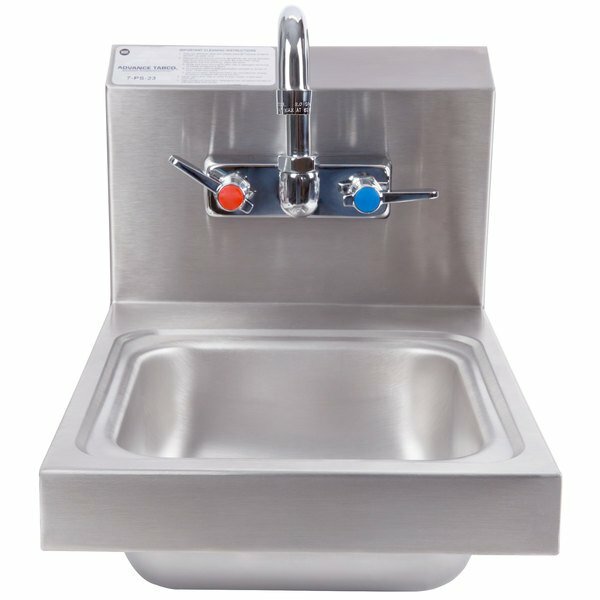 This product was given a Best in Class Award in Foodservice as chosen by foodservice operators, dealers, and consultants. 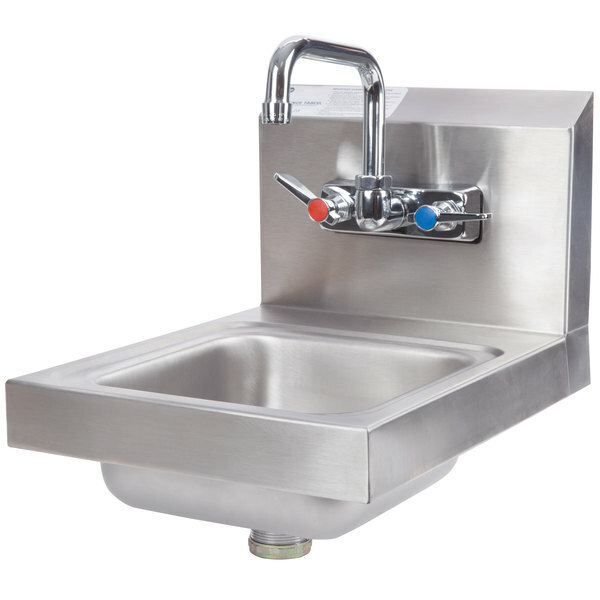 Advance Tabco FS-WM-80EF 14-Gauge Multi-Station Hand Sink with 8" Deep Bowl and 4 Electronic Faucets - 80" x 19 1/2"
Overall User Rating: Advance Tabco 7-PS-23 Space Saving Hand Sink with Splash Mount Faucet - 12" x 16"